Becoming a franchisee is an option considered by an increasing number of people who want to start their own business. But where should you start? What are the considerations? How do you ensure success? Below is a guide to help you out. Ask any business guru and he would most likely tell you that becoming a franchisee is easier than starting your own business. If you join a franchise, you will be replicating a proven and established business format so you need not create your own. And that’s just one of the advantages of becoming a franchisee. You’ll also need less initial investment since you won’t be spending on creating your own brand name and logo, marketing strategies, or experimenting countless times to know what works or not, as most people who start a business from scratch do. You’ll be enjoying a ready customer base; ongoing help, training and support; limited direct competitors; funding opportunities; continuous product innovation; minimal chances of failing; and a greater chance to sell your business in case you need to. Of course, it’s not a bed of roses all the time. Becoming a franchisee has its share of disadvantages, too. There are fees involved, some of them continuous. You need to follow rules and be open to periodic inspections. So it’s always best to be aware of the facts before you enter into an agreement. How efficient are the franchisor’s teams? Who are their ideal franchisees? How likely are you to succeed? On your end, can you wear multiple hats as a franchisee? Yes, this can happen during the initial stage of your business, unless you have unlimited funds to hire a bookkeeper, analyst, marketer, secretary, etc. And before you dive deep into the industry, you also need to avoid some of the most common mistakes franchisees before you have made. The ones who failed typically did not perform sufficient research and analysis of their competitors, target demographics, and underestimated costs. Most did not have a business plan or worse, even ignored the legalities required of their business. Having sufficient funds and connections do not make a franchisee. Becoming a successful franchisee requires more than that. You need to have grit. You need to learn specific sets of skills and develop personal qualities to make it to the top. However, keep in mind that as a franchisee, you are required to follow the rules stated in the Franchise Agreement. You must be determined and committed to do what you have to do to be successful. Franchising gives you the best of both worlds. It allows you to operate a business you can call your own while having the guidance and support of the franchisor. And since you’ll be running a business based on a successful model, there’s a very slim chance of failing. Everything’s been laid out for you – from branding to marketing to managing your business. Of all types of franchising, the business format franchise is the most popular. Experts say that it is the precursor of the “franchising” that we know today. Owning a business format franchise gives you the following advantages: operating under a brand that’s recognized by many; training and support from the franchisor; lower initial investment and product costs. The downsides? Ongoing fees and lack of flexibility. You won’t be able to sell other products since you have a commitment with your franchisor. Now that you have a better understanding of how the franchise model works, you can now choose the type of franchise you want to join. There are three main types of franchises: operation, ownership, and industry. In an operation-based franchise, your right to your business will depend on what the franchisor will grant you. This type is implemented in manufacturing, product, and business format franchises. Franchise ownership, on the other hand, has these types: single unit, existing franchise, multi-unit, area developer, master franchise, and absentee ownership. Industry-based franchises can be found anywhere and everywhere because they have grown exponentially. Almost all industries can now be franchises, from food to clothing to car washing. Food franchises rank top in the industry, from doughnuts to pizzas, sandwiches, ice cream, coffee and juices. In the automotive industry, there are auto glass repair franchises, aftermarket parts and accessories, auto repair and maintenance, cosmetic and paint, rental companies, and car washes. There are also clothing, convenience store, school and education franchises that you can consider. Beware of hype. Remember that not everything that glitters is gold. Do careful research. Ask yourself this set of questions. If you are considering joining a car rental franchise, for example, some of the things you need to know are its financial track record, reputation, brand presence, existing contracts, and competitors. Once you have all the facts and numbers, select the one closest to your heart. If you’re still having difficulty choosing, these deciding factors might help you out. Becoming a franchisee means having more than sufficient funds to start with. Experts say that not having enough funds is the top reason why majority of startups close shop after three years. Yes, you’ve got funds to start with, but what if you decide to expand, or purchase new equipment? And you also have to face the reality that not everything goes according to plan. Inflation, competition, and natural disasters can wreck havoc even if you have the most solid business plan. This is where you’ll need additional funding. One of the benefits of becoming a franchisee is that you will be protected by regulations mandated by authorities. For example, 16 CFR Parts 436 and 437, requires all franchisors to give potential franchisees sufficient information about their business through the Franchise Disclosure Document (FDD). This should be given two weeks prior to signing the agreement. Some states require a registration fee and meet standards set by local and national authorities. Businesses also need to comply with the Occupational Safety and Health Act to ensure the safety of workers. These regulations should not be taken lightly as non-compliance can lead to expensive fines or worst, closure of your business. Initial franchise fee. This is the one-time fee you have to pay to join the franchise. Royalties or ongoing franchise fees. You pay a certain percentage of your gross revenue to your franchisor. This is used for research, updates, and other related expenses. In some cases, franchisors may require you to pay other types of royalty fees. Marketing fees. This goes to marketing the brand on a national level. This can come from your net or gross profits, depending on your agreement with your franchisor. Required purchases. Franchisors typically require franchisees to buy specific items from them, such as uniforms, branded products, and so on. To make matters legal and also for your protection, there are some documents you need to pay special attention to, primary of which are the Franchise Disclosure Document and the Franchise Agreement. The FDD, as mentioned earlier, is a document handed to you by your would-be franchisor. It contains everything you need to know about the franchise you are about to join. It has 23 parts. Numbers 1-3 give you details about the business – history, background, and even possible lawsuits. Number 4 declares if the business has filed for bankruptcy in the past. Numbers 5-7 deal about costs and fees. Here’s the thing – you have 10-14 days to examine a hundred-plus page document written in legalese. If you find it difficult to understand any given part at any given time, hiring a franchise consultant might be the best route for you. He or she will not only help you understand the FDD better – he or she will be able to check loopholes or issues that may compromise your business later on. Ready to become a franchisee? Not just yet. You need to fully understand and agree to another essential document – the franchise agreement. Exercise caution before affixing your signature on this document because it binds you legally to your franchisor. Again, having a franchise consultant will be ideal at this point. He or she will help you understand the terms and conditions stated in this document. Other things you need to consider are the vicarious liability and culture of compliance. 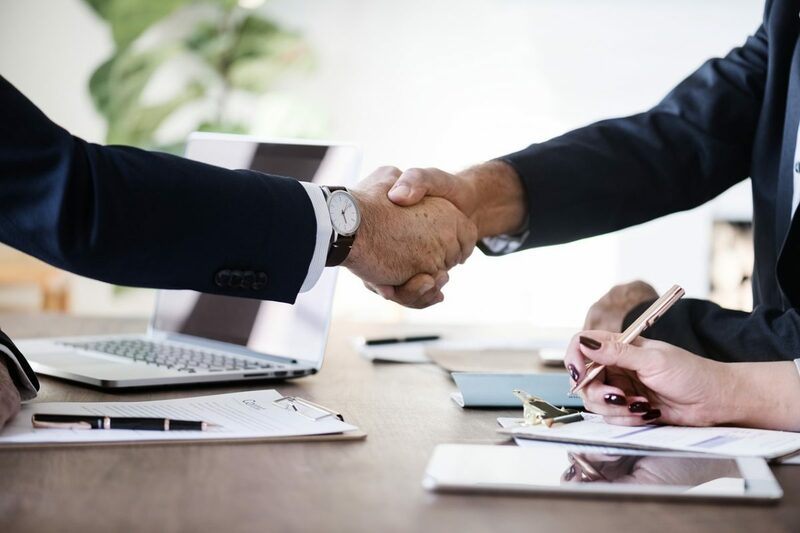 Becoming a franchisee is not as easy as it seems, but with proper advice and guidance, you will be able to start your business on the right path which can ultimately lead to your success.